The Dotty Kimono is a much sought-after kimono this season. 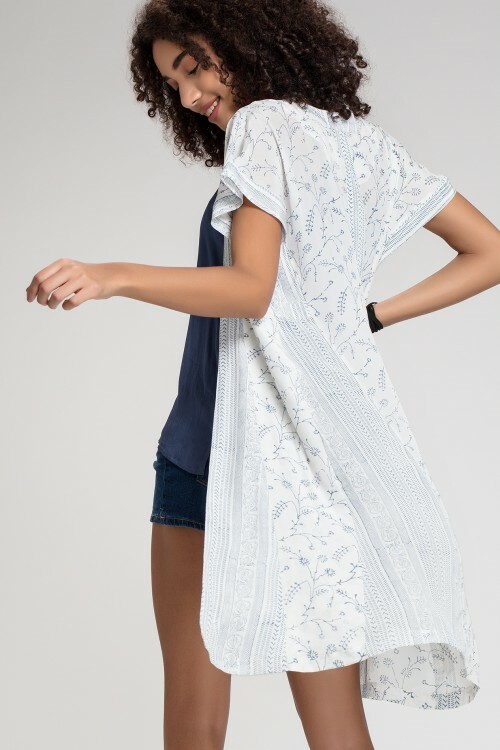 Made from one of our most subtle hand block prints, its great for layering over anything and making everything subtle and unique. 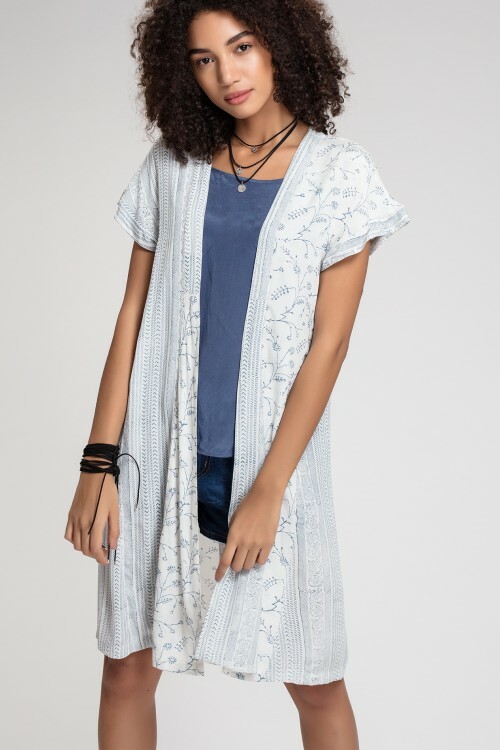 Made of crepe viscose, it makes for a relaxed style and fit.